As the new year approaches your business’ content strategies may be in for a big change. The social media marketing trends of 2018 will offer you a great opportunity to increase your exposure and interact with fans and followers of your platforms in innovative ways. Here are our eight predictions of the social media marketing trends businesses will see in 2018. One of the biggest social media trends of 2017 that will carry forth in 2018 is augmented reality. The announcement of the iPhone 8 and the iPhone X was huge for consumers as the phones include a new chip that allows users to experience extraordinary augmented reality experiences. While this new feature will have its biggest impact on mobile gaming, social media platforms will likely seek ways to incorporate this new technology. For example, Snapchat or Instagram stories may soon include filters that allow users to take selfies with their friends that are projected via augmented reality. Brands could also project their products using special filters to connect with social media users. Did you know that over 200 million people use Instagram stories each month? That’s over 50 million more than those who use Snapchat, and Instagram stories have only been around for a year. If the popularity and trendiness Instagram continues, half of all Instagram users will be using stories by the end of next year. If brands want to connect to Instagram users, they should take the time to master this feature to stay on top of upcoming social media trends in 2018. Social media platforms are adopting new algorithms, which can make it difficult for businesses to gain visibility with organic content. This is one of the reasons why sponsored posts, also known as paid content, will be a continuously growing social media strategy in 2018. When a business uses paid content for social media, they can access a targeted demographic who will see their content and have a better chance of engaging with that audience. Live streaming has now become a main part of social media. Big brands and small brands are using this feature to capture the attention of followers, especially on platforms like Facebook. Live streaming can be used to let viewers watch live events, interviews, and other compelling content. Thousands of followers often tune in to watch full coverage of a specific event or to hear their favourite celebrity or musician provide updates. The future of social media will certainly involve live streaming, and companies may begin to incorporate it into their monthly content plans. Video content continues to rise in popularity, and it is becoming more important for brands as well. As social algorithms continue to update, video will become more valuable to generate engagement and build a following. Videos on Facebook actually receive higher engagement than photos and written content. More people comment on these videos and they are shared more and “liked” more. Additionally, Instagram stories and Snapchat’s entire platform are also ways for brands to create compelling video content and share it immediately with their followers. Being able to create video content can also connect audiences with your written content and other media. Because of widespread Internet access and instant connection, consumers are conditioned to want things right away. This has unfortunately led brands to respond too quickly and make mistakes, or freeze in their tracks because they are unsure of how to meet the demand or speed. This is what makes chatbots an impressive and important feature for businesses. Chatbots, especially through Facebook Messenger, give businesses the chance to quickly interact with their audience in a personal way. Through the use of chatbots you can customize your brand’s voice and send personalized content directly to users. In 2018, chatbots will likely become part of the future of social media and businesses. Many social media users prefer buying a product directly through the platform of Facebook, Instagram, etc. This trend will likely continue to grow in 2018, as it provides a convenient approach to shopping. Over half of users say that seeing an image on social media gave them the extra nudge they needed to make a purchasing decision. If your business keeps up with this trend in the new year, by adding product videos, ads, and direct links, you will have a much easier and organic way to create customers out of social media users. 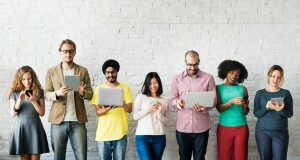 Generation Z is becoming even more valuable to organizations than Millennials. These youth, no older than 22 years old, are beginning to enter the labour force and will have more impact on what is bought and sold. As brands begin to recognize this, they will need to shift their marketing and social media strategies to attract these audiences. In 2018, you should expect to invest in platforms that Gen Z youth enjoy like Snapchat and Instagram. These eight trends are only a glimpse into the way that social media marketing will impact businesses around the world. 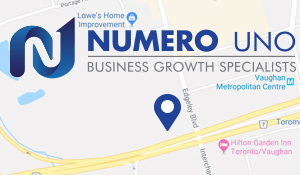 If you’re looking for assistance for social media marketing in Toronto contact Numero Uno Web Solutions. We provide our clients with many marketing solutions such as SEO, SMO, and ORM strategy development, content audit services, online reputation management, web designing and development, and more. We are a content and search engine marketing agency in Toronto that specializes in helping small- to medium-sized businesses improve their web sites. For years, we have helped clients across the Greater Toronto Area, Texas, Massachusetts, and Florida, boost their marketing strategies and grow their businesses. Call us at 1-855-SEO-XPRT to learn more about the services and expertise we provide at our Vaughan location.